If you teach K-8 readers, you need to run not walk to your nearest book store, (or on-line retailer of choice to get this book! 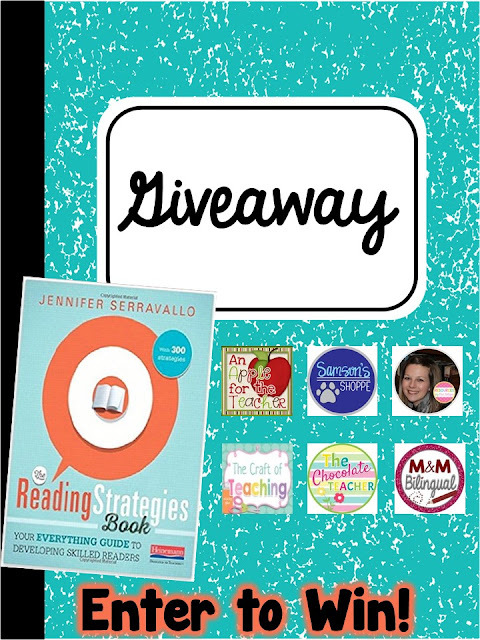 The Reading Strategies Book : Your Everything Guide to Developing Skilled Readers by Jennifer Serravallo is hands down one of the best reading instruction resources I have ever read! 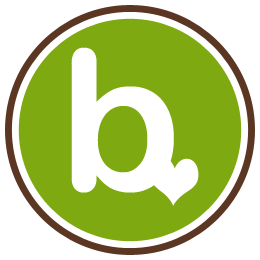 A group of bloggers and I are spending our summer diving deeper into this incredible resource, and we will be sharing our thoughts and ideas with you through weekly posts. If you scroll down a bit, you will be able to win your very own copy of this book, and find out how you can participate in our book study! Each week we will be going through a chapter and sharing some of our own thoughts, ideas, and resources. 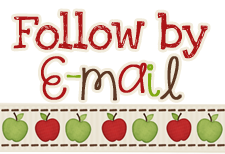 You can follow along with us by just reading or posting your own thoughts on your blog and linking up with us! I will also have some discussion posts on Facebook and Twitter as well, so you can join in with us however you would like! 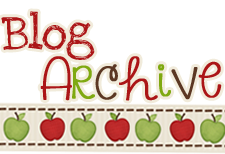 If you would like to sign-up to host one of the chapters on your blog please click here. This book is a bit different from a traditional book in that it is set up kind of like a menu. As you discover needs your students have as readers, you find that section in the book and then have a list of strategies broken down step by step to address that need. 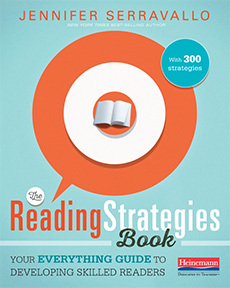 If you've ever struggled with what to do during a "strategy group" this book has you covered from emergent readers to advanced readers. I did not use all of the tabs, but I wanted to show you that you could do this a variety of ways depending on what works best for you and what you have on hand. The book is divided into 13 goals (you will not use all 13 goals with every student as not every student has the same needs). I created a label for each section and then placed it in the book where that section is. This way, I can easily find what I need as I plan my lessons. During the school year I am all about easy! If something is hard to find or difficult to manage I don't always end up using it. This resource is one that I have definitely wanted to use, so I made it easy for myself! As you can see from the picture above, I can easily find the section I need without having to look through the table of contents or index. Some other teachers have rebound their books with spiral binding to help it lay flat, but I haven't taken that step. This is an example from Nancy at Teaching My Friends. 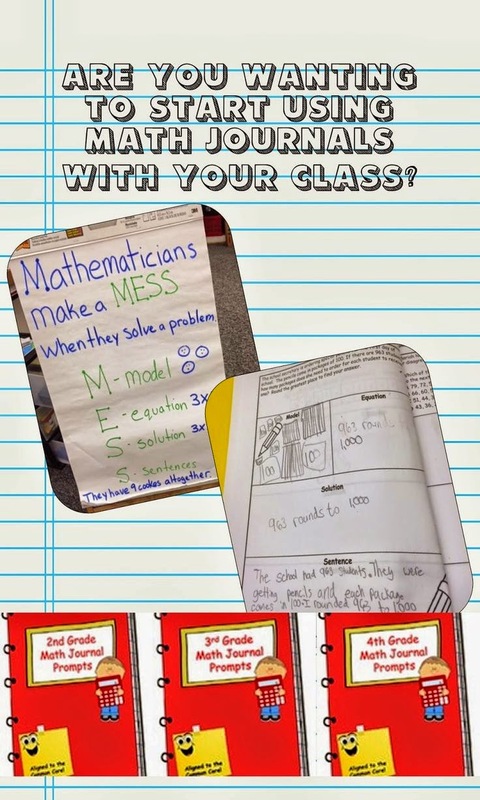 The next thing that I did was to prepare a mini tool-kit for the anchor charts that are included for all of the strategies. For this I used a sketch book. I chose this because it is very durable and the pages don't fall out as easily as they do in a binder. Because I don't know what needs my students have yet, I decided to prepare a few charts that tie into our standards. I chose to look though goal 6 because we begin the year talking about characters. I flipped through a few lessons and decided to start with this one. Serravallo also includes anchor charts or sample student work for each strategy. I checked through this and decided that it would definitely tie into my lessons about character. I recreated the given anchor chart in my sketch book (using pencil first in case I made a mistake!). I left sections of it blank so that it could serve as a sample graphic organizer that a student could use for any text. Sometimes students falsely believe that graphic organizers are created for a particular book or lesson and don't transfer their knowledge to other assignments especially independent work. I am hoping that this will be a better reminder that this strategy can be used again and again. To again make my life easier, I used a tab to identify this anchor chart in my sketch book to make it easier to find during lessons. I color coordinated the tab to match the ones in the Reading Strategies book, and as you can see, I labeled it with the corresponding unit and page number. 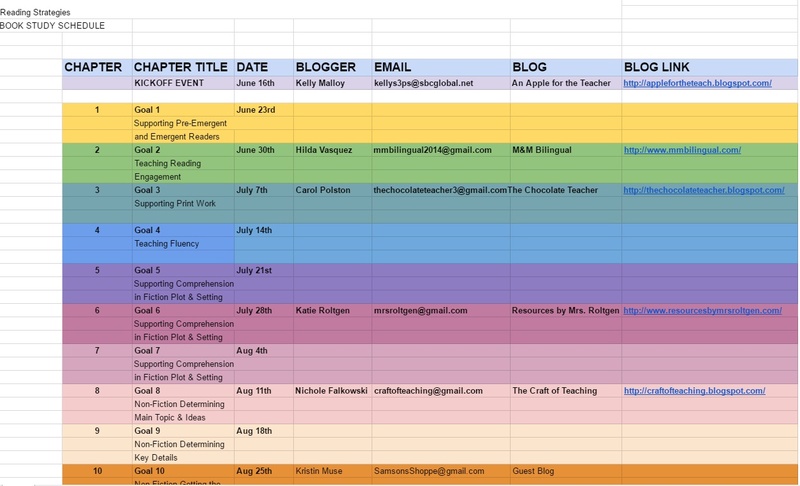 I hope this helps give you some ideas to set up your book to use! If you don't already own a copy of the book we have a giveaway to help you win one! Enter the Rafflecopter below! AND.... If that wasn't sweet enough for you.... we are also giving away a $35 Starbucks gift card (separate giveaway) so that you can sip away at your favorite drink while you peruse your new book. Be sure to enter both giveaways! 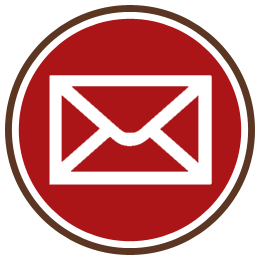 Giveaways are now closed, check here for our current giveaways. 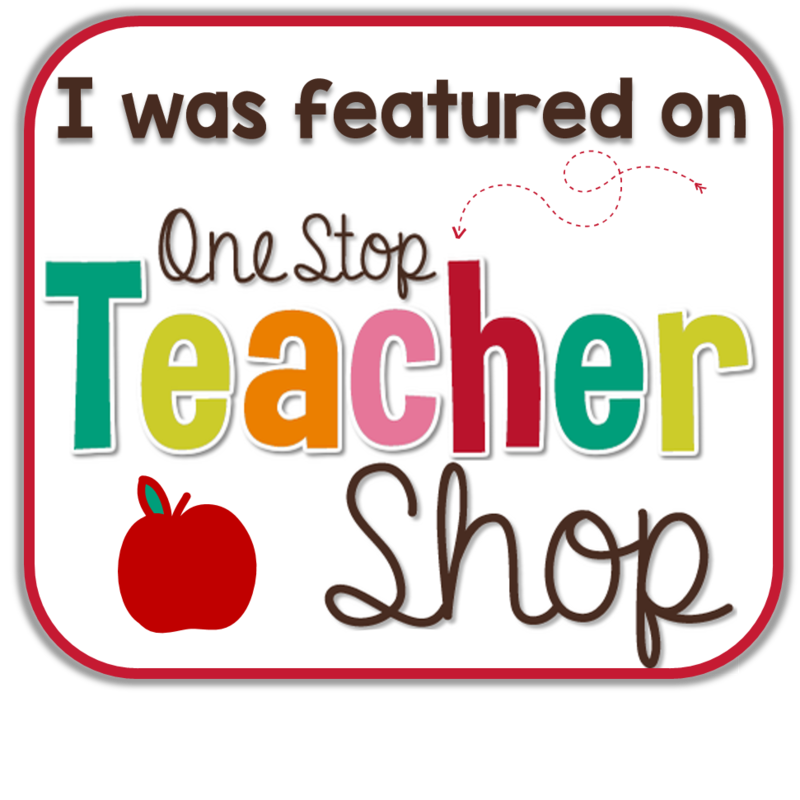 Co-hosts : Kelly Malloy (An Apple for the Teacher), Samson's Shoppe, Mrs. Roltgen, The Craft of Teaching, The Chocolate Teacher, and MM Bilingual. 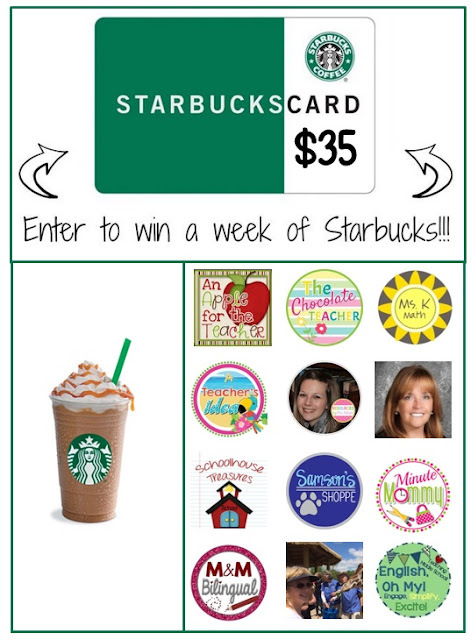 We're also giving away a week of Starbucks to one lucky reader! The winner will receive a $35 Starbucks gift card - enough to treat yourself to a week's worth of caffeine goodness! Just read her post and noticed she took it to Staples. LOL. Sounds wonderful! I'm going to start a sketch book like this one this week! Thanks for the ideas!